This April 1 is no joke when it comes to the world of music at Ohio State. 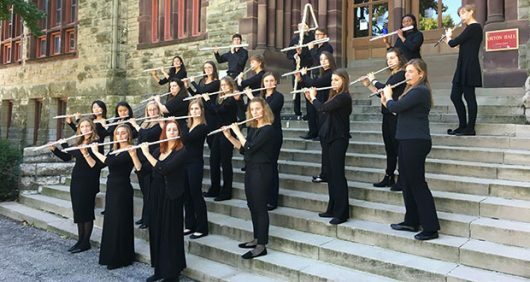 The 34th annual flute festival, put on by Central Ohio Flute Association, invites music lovers of all ages to a day filled with master classes, showcases, clinics and competitions. 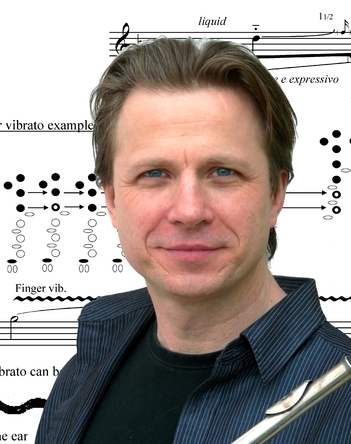 This year’s festival welcomes internationally-acclaimed flutist Ian Clarke. “The main idea of the festival is to share the love of flute and music with the flute community and the community at large, and to give anyone who loves to play a chance to get better,” said Katherine Borst Jones, professor of flute. The first flute festival in 1984 was held at Capital University and, two years later, it made the move to OSU. What used to be put on by the community was soon taken over by COFA. COFA became a student organization at OSU in 2000 and has been holding the festival ever since. As part of the event, Clarke will be performing in the recital on Saturday at 1 p.m. and teaching the master classes on both Saturday and Sunday. “Audience members can expect to hear world-class flute playing from Ian Clarke and great music making that, if you are open to it, will move you,” Jones said. The flute choir showcase allows students from junior high to college an opportunity to perform for Clarke and receive feedback. This includes OSU’s very own student organizations, Flute Troupe and Buckeye Flutes. The exhibit hall will be open in Weigel Hall from 9 a.m. to 4 p.m. on Saturday, with flutes and flute merchandise available. The exhibit allows students access to instruments from across the country. Jones said the event is a valuable experience for students that they should take advantage of to improve their craft. April 1 events will run from 8 a.m. to 5 p.m. April 2 events will run from 10:30 a.m. to 4 p.m. All events are free to OSU students faculty and staff.